Just heard of the news that the star of Dirty Dancing and Ghost, Patrick Swayze died at 57 Monday after a battle with pancreatic cancer. On a report of Yahoo! News, "Patrick Swayze passed away peacefully today with family at his side after facing the challenges of his illness for the last 20 months," said a statement released Monday evening by his publicist, Annett Wolf. Swayze died in Los Angeles, Wolf said, but declined to give further details. Swayze just learned about his Illness last year of March and doctors eventually predicts that he only had weeks to live. 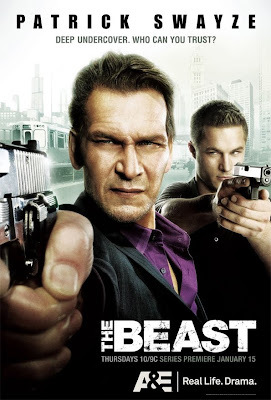 But being optomistic, Swayze had continued working and been able to shoot a new series titled the Beast. However, after the first season A&E decided not to renew the show because of Patrick's condition. As a tribute here is the Last Dance clip from the movie Dirty Dancing. RIP Patrick, we will miss you.